The tip came from a woman standing in line at a post office in a small town in northern California. "The poachers literally fly into the US just to get these plants so they can ship them to Korea, China or Japan," said Captain Patrick Foy, of the California Department of Fish and Wildlife. "They are ripping them out of the ground and selling them between $40 and $50 dollars a piece." Foy said several suspects from Asia have been arrested in recent months in connection with the heists, including two Koreans and one Chinese national who were nabbed on April 4. The three men—Tae Hun Kim, 52, and Tae Hyun Kim, 46, both of North Korea, and Liu Fengxia, 37, of China—are scheduled to appear in a California court on May 16, charged with several felony and misdemeanor counts. If convicted, they face up to nine years in prison and steep fines. 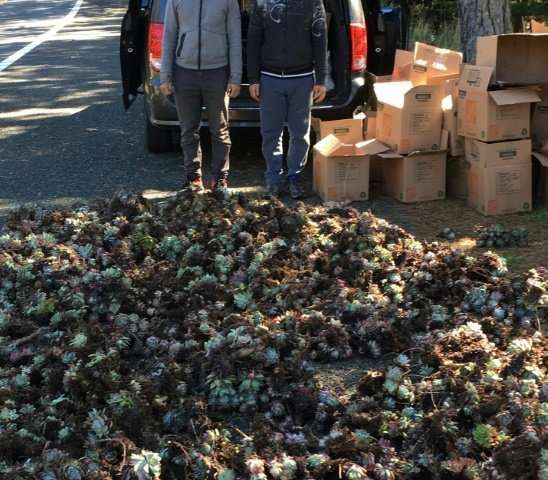 Foy said he believes poachers in the last year have quietly been slipping into the country, targeting remote areas along the coast and digging up "thousands and thousands" of Dudleya before stuffing them into boxes with crumpled up newspaper and putting them in the mail. "They go in at night or during the day... and seem to favor locations that are not well traveled—places where you can park your car and walk half a mile and not be seen by a lot of people," he added. 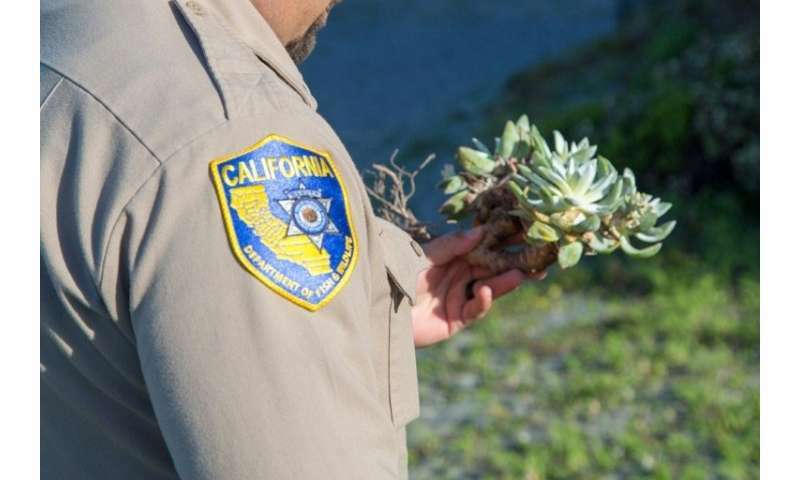 Authorities said they fear the plant, also known as "bluff lettuce," could end up on the endangered species list if the poaching continues and are warning of the detrimental effect on the environment. Foy said that while he understands the attraction, he was baffled as to why collectors were not simply buying similar-looking plants.